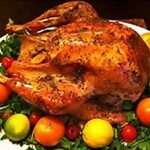 Home / Blog / EAT YOUR BOURBON! No matter the experience of the cook, whether chef or teenager, it is never too soon to introduce someone to the right products to cook with, making any meal better. 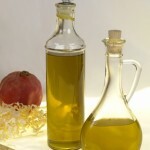 From the right Olive Oil, Balsamic Vinegar or Seasoning, when you use the right product the results shine. 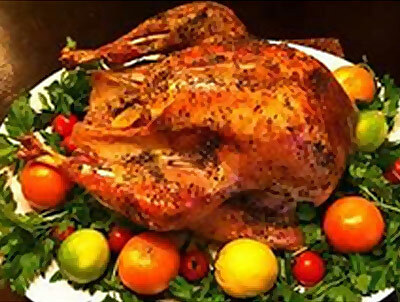 With holiday season in full swing the menu planning is in full effect, but does the thought of changing the recipe of your turkey seem like it would just be too difficult? Well it’s not, take a little Sicilian Lemon White Balsamic Vinegar, Oranges, Sugar and Water and make a Citrus Brined Turkey. 5 minutes of prep and your turkey is now transformed into the most delicious, moist turkey you have ever made. How about desert? Tired of Vanilla Ice Cream for your apple pie? 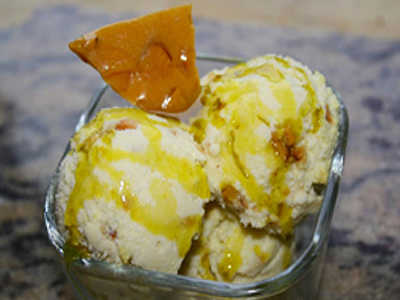 Get your taste buds ready with Melgarejo Hojiblanca Ice Cream and let Vanilla take a back seat. Ingredients such as Hojiblanca Extra Virgin Olive Oil make this desert decadent, creamy and a flavor profile that continues to change while you eat it. 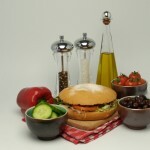 Trying new products in everyday recipes can be intimidating but having access to recipes that will guide you from start to finish will take that anxiety away all while broadening your palate. Now that you are armed and ready to start exploring the world of flavor get your friends and family on board with a gift box that is sure not to disappoint. The Eat Your Bourbon Gift Box. Stray away from the standard cookie tin or Meme T-shirt. Give them something they can not only use but something that will transform the way they cook. 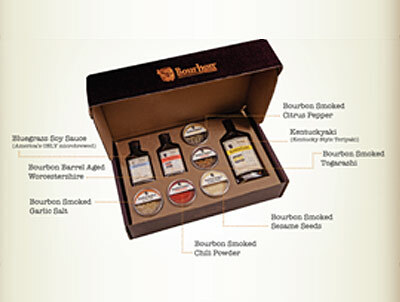 Our Eat Your Bourbon Gift Box contains three gourmet sauces (including Bluegrass Soy Sauce – Americas ONLY Micro brewed soy sauce!) and five of our newest bourbon smoked spices. Each product is hand crafted in small batches creating a wonderful blend of products perfect for any foodie! This stellar assortment for that Grillin’ Guru in your family retails for $93.75 but in this kit format only $79.95! Quantity is extremely limited.